There are different levels of care facilities available on the market. An assisted living facility is very different from a nursing home and is subject to different regulations. Some facilities also provide, within the facility, different levels of care. For example, a nursing home may have a rehabilitation unit and a locked dementia unit. It is the responsibility of the care facility to fully and truthfully explain these issues to you. Some Colorado nursing homes, assisted living facilities and mental healthcare providers make promises they know are not true in order to get you or your loved one admitted to their facility. 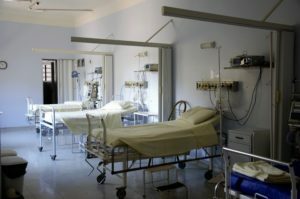 There are also many situations in which a nursing home or assisted living facility knows it is not staffed or equipped to care for medically complex residents, yet admits them nonetheless. When these deceptive practices cause you or your loved one to suffer a personal injury or wrongful death, we can help you evaluate and pursue a consumer protection claim against the deceiving nursing home or assisted living facility. Reinan Law is dedicated to consumer protection in healthcare justice. Learn more about how our wrongful death law firm can help you win your case. If you feel you or a loved one has been the victim of a consumer protection violation, please contact our nursing home attorneys in Colorado today at (303) 894-0383.